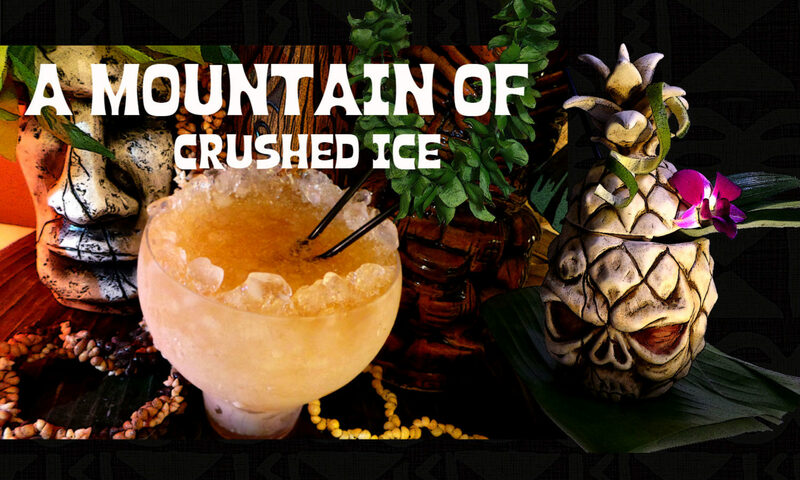 This is the drink that made the tiki drinks famous! invented by Don the Beachcomber and so influential that people named their bars after it. 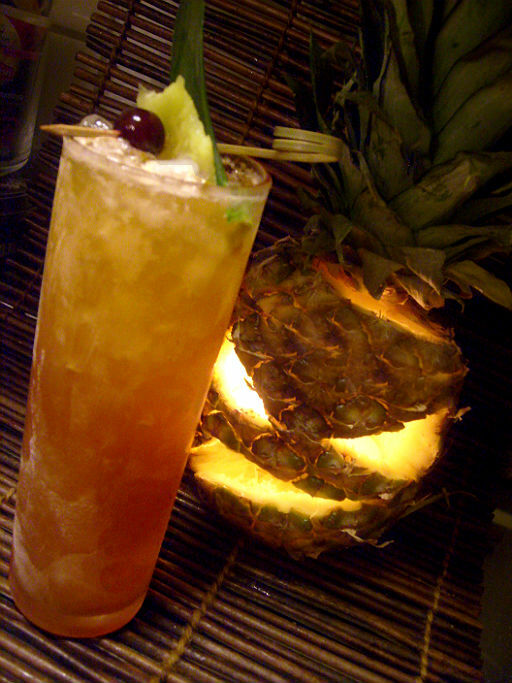 Jeff “Beachbum” Berry spent ten years tracking down the original lost recipe for the Zombie cocktail. Why?From the end of Prohibition to the dawn of Disco, the Zombie was the world’s most famous drink. It kick-started the whole Tiki craze, and put Don The Beachcomber’s Hollywood bar on the map. Inventor Donn Beach kept his original 1934 recipe a closely guarded secret — and when the Jeff finally found it, the recipe was in code! While sipping samples of vintage Zombie recipes, you’ll learn why this legendary drink was the toast of the Hollywood movie crowd, and hear the true-life detective story behind how the recipe’s secret code was cracked. Don Beach greatest innovation was to mix several rums in the same drink, something that was new at the time and which he perfected. It´s not an easy thing to do and requires a damn good knowledge about rums – and we all know how well Don Beach knew his rums! At the time nothing of the like had ever been tasted before and Don`s bars became the hangout for stars and celebrities. 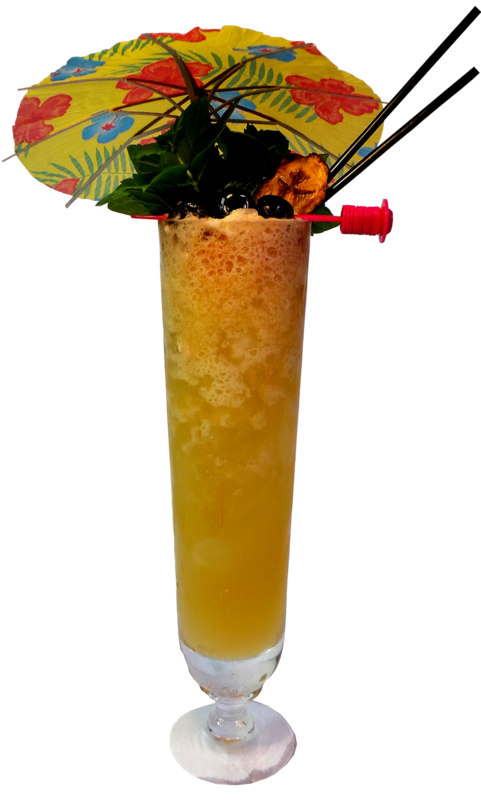 His bars became a huge success and the Zombie became the most famous drink in the tiki world. Here´s the recipes of the two most famous Zombies the 1934 Zombie punch (my preferred Zombie) and the 1950 Zombie. As for rum substitutions for white and gold rums i`d recommend flavorful rums such as Plantation 3 stars, Cruzan, Flor de Cana and for dark rum equal parts of El Dorado 12 yo and Smith & Cross Jamaican rum to get closer to the original dagger rum flavor unless you got Kohala Bay rum. 6 oz (3/4 cup) crushed ice. Put everything into a blender, saving ice for last. Blend at high speed for no more than 5 seconds. Pour into a chimney glass and add ice cubes to fill. Garnish with a mint sprig. Dissolve sugar in lemon and/or lime juice. Shake everything well with crushed ice and pour into a tall glass. Garnish with a mint sprig. This one was attributed to Don Beach by Louis Spievak in his 1950 book, Barbecue Chef. 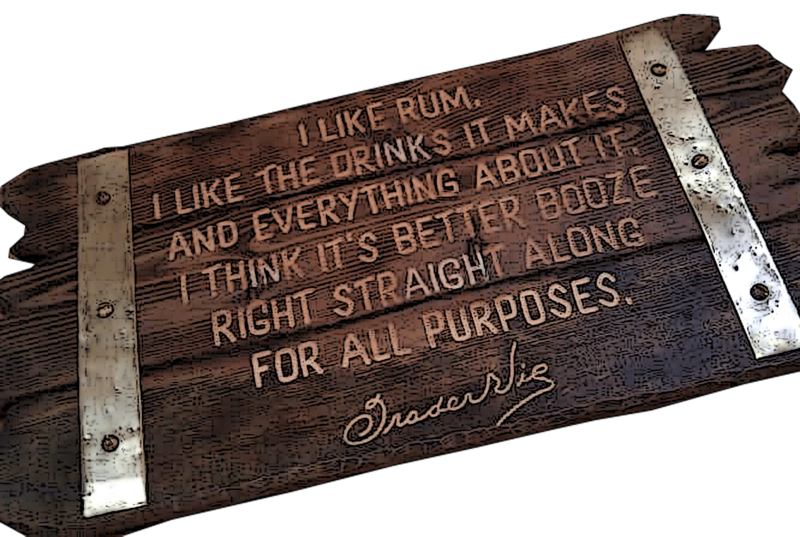 Did you know that 9 out of 10 rum consumers do not realize that some of the best rums in the world are blended, aged and bottled in Europe? They may start in the America’s but are adopted, loved , nurtured and aged in the cooler climates of Europe. Here is where we learnt about dual aging – the rapid intensity of tropical ageing paired with the slow maturation of cooler climates creates smooth and balanced rums. And although the rums has their roots in the Caribbean the Europeans can be credited with it`s creation. And as always when Ian Burrell is around there is a good story or two and a lot of laughing. We tasted 9 different rums and rum prizes were handed out to the first to answer random questions and Richard Seale made an interesting experiment where we tasted two different rums and were asked which one was preferred. It turned out that the expensive one was the least preferred by the audience while the cheaper one which was aged only two years ( i could never have guessed that) tasted much more balanced due to certain additives in it – showing us the point of what can be done to manipulate rum. Of the nine rums we tasted were Banks 7 Golden Aged Rum which s a blend of 23 rums from 7 countres – Barbados, Guatemala, Guyana, Jamaica, Java (Arrak) Panama and Trinidad – from both pot and column stills aged in bourbon barrels between 1-7 years. I found it to be flavorful, with a “golden” profile, quite light but spicy, hints of fruits like apple and banana. 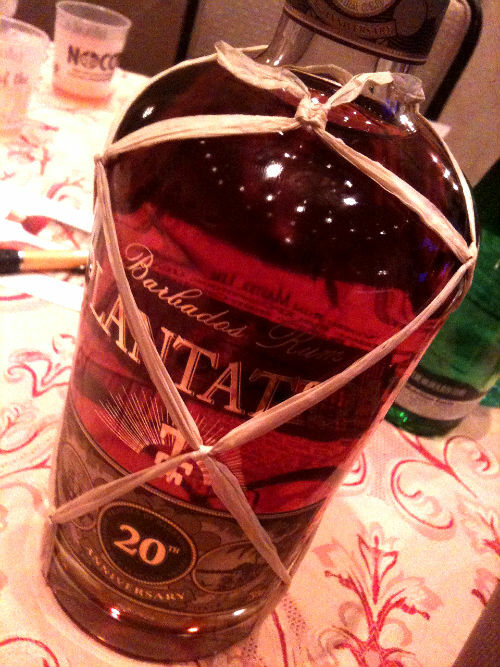 Balancing 23 rums is obviously not an easy task but they have made it well. Further we tasted Plantaton 3 Stars – my fav white rum and their excellent XO 20th anniversary rum which in the US has got a new bottling which i REALLY like! The XO is very well balanced, smooth with hints of toffee, vanilla, nutmeg, oak. Then we also tasted Spanish rums from Dos Maderas which i have never done before. We tasted Dos Maderas 5+3 which is a blend of Guyana and Barbados rums aged 5 years first in the Caribbean and then 3 more years in casks that once held the Don Cortados 20 yo Old Palo Cortado Sherry. The overall flavor was dry and sweet. Dos Maderas PX s rum 5+3 wich is aged for 2 years in Don Guido, a 20 year aged Pedro Ximenez sherry. It as sweet, thick with a pronounced sherry flavor. Dos Maderas Luxus is rums from Barbados and Guyana aged 10 years n the Caribbean and then shipped to Spain to age 5 more years in casks that held Don Guido. The result is a deep intense rum with more wood, clear cherry, rich, deep with a sweet finish. Every year at Tales i learn some things that gives me more in depth knowledge in the topics that interest me, and at the Tales there´s always something for everyone. 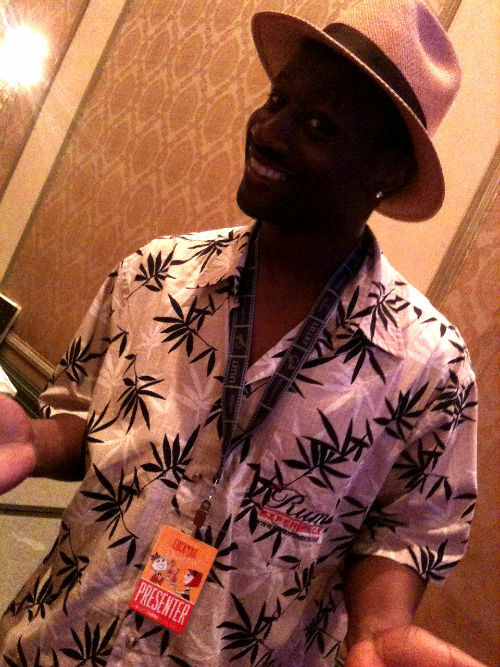 Previous PostPrevious TOTC 2013 – Pineapple! a Symbol of Hospitality! 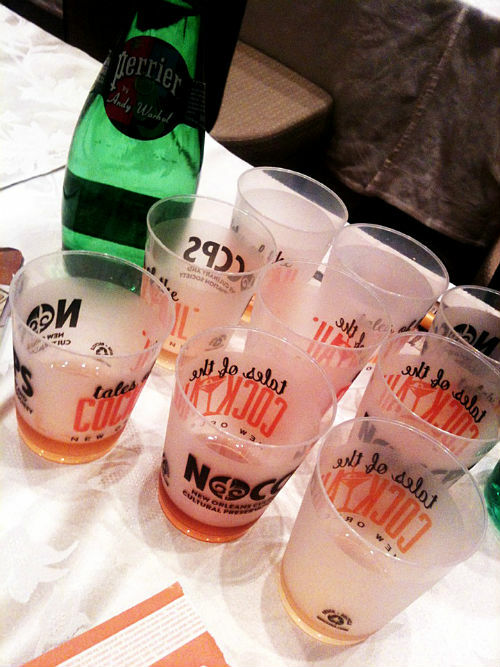 Next PostNext TOTC 2013 – The Tastings! Bloody Mary, Bayou Rum, Bulleit Mint Juleps and Ole Smoky Moonshine!